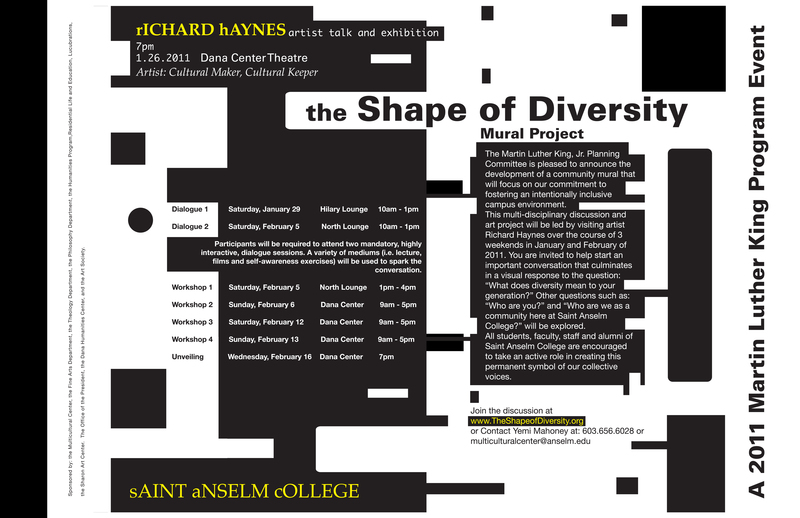 Print article This entry was posted by kasbury on January 12, 2011 at 5:48 PM, and is filed under "Shape of Diversity" Mural & Dialogue Event, Announcements, Discussion, Diversity Dialogue, Events, Lecture or Presentation, Mural Workshop, Poster. Follow any responses to this post through RSS 2.0. You can leave a response or trackback from your own site. It is difficult to open/read/print the poster.